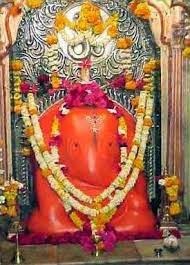 Here is Some Information about Chintamani Ashtavinayak(Ganesh) Temple in Theur Maharashtra India. Location: Theur Haveli Taluka of Pune District in Maharashtra. 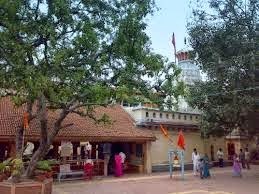 The Chintamani Ashtavinayak Temple is located in Theur village of Haveli Taluka of Pune District in Maharashtra.The temple is dedicated to Lord Ganesha.The village is along the river Mulamutha. Lord Ganesha as Chintamani is god who brings peace of mind and drives away all perplexities of the mind. It is believed that Brahma the creator once felt tharva that is restive. To still his mind he called upon Lord Ganesh. The place where Brahma achieved the quietude he was looking for is known as the Sthavar region or as Theur.The temple lore describes how Ganesha retrieved the wish-giving jewel Chintamani for his devotee, the sage Kapila from the greedy king Gana and how he pacifies the uneasy mind of the god Brahma, who meditated on him in Theur. 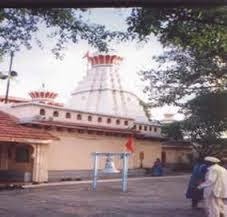 The temple is associated with the Ganapatya saint Morya Gosavi (dated between 13th to 17th century). Though the temple is believed to have existed since antiquity, the current structure of the temple was built by him or his descendant. 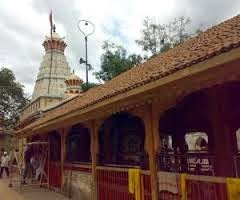 The Chintamani Temple was also a spiritual magnet for the Peshwa rulers, especially Madhavrao I (1745–1772) who renovated and made additions to the temple structure. The history of the Chintamani Ganesh Temple dates back to the ancient period when the people used to believe in the notion that the gods and he goddesses come alive on the earth for their purpose or to attend their follower's ardent prayers; from such a notion came the idea that the Lord Ganesh came into the earth and created the temple for himself in Ujjain is very popular.During Sagar Manthan, churning of the sea by the Gods and the Demons, Amrita or nectar came up from the ocean. One drop fell in Ujjain thereby making it sacred. Whosoever visits this place shall be filled with all the blessings of the Gods and Goddesses residing there. By Road : The city has Excellent road network connects Mumbai and Pune. State-run as well as private buses operate on a frequent basis between the two cities. Pune is very well connected to the other major cities by air, rail and road. Nearby Cities Mumbai, Nasik, Nagpu. By Rail: The Nearset Railway Station is pune(25 Km).